Now I don't know about you, but one thing that gets me super excited for Christmas is the music. You can be sure that I'll be blaring out the tunes on repeat in December to the point that I'm glad I don't have to listen to them again for another year once Christmas Day has been and gone. I always ask Tom not to hum a Christmas tune unless it's at least Autumn as it will make me too excited haha. Because Christmas is big deal to me and with that the music, I always love to find out what everyone's number one Christmas song is. December is merely a few days away and so I wanted to share with you my top songs for the season to get you in the mood and possibly add some new bangers to your Christmas playlist. I hope you agreed with some of my choices... I would love to know yours! 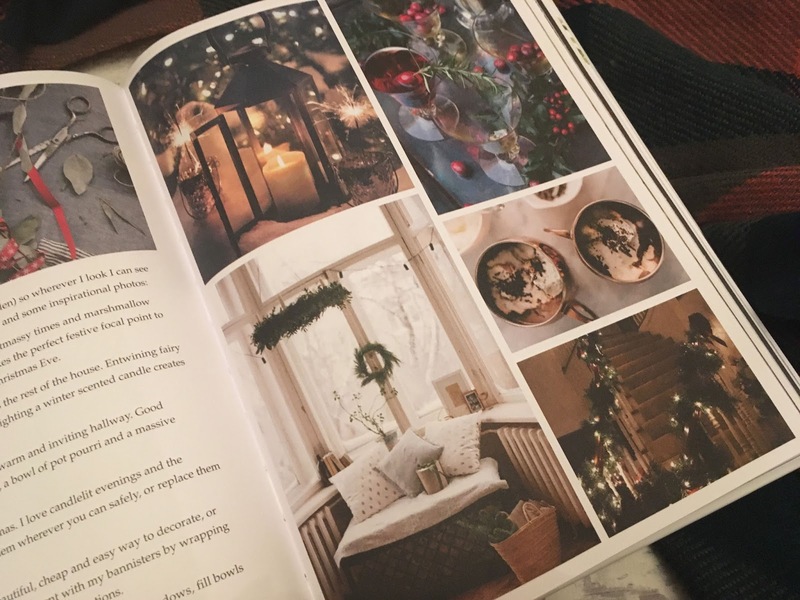 December is next week; it's raining outside, I've got a cup of tea, and I've just finished reading Tanya Burr's new release Tanya's Christmas. If you there's one thing you should know about me; it's how much I get into Christmas - as a child I think I once sent a letter to Father Christmas in May! Around 2012 I started to get 'into' watching YouTube, and I love the content this time of year - especially Vlogmas and seeing everyone's run up to the day as this is the best part! One whose Vlogmas I always watch without fail is Tanya's because she gets into the season just as much as I do. 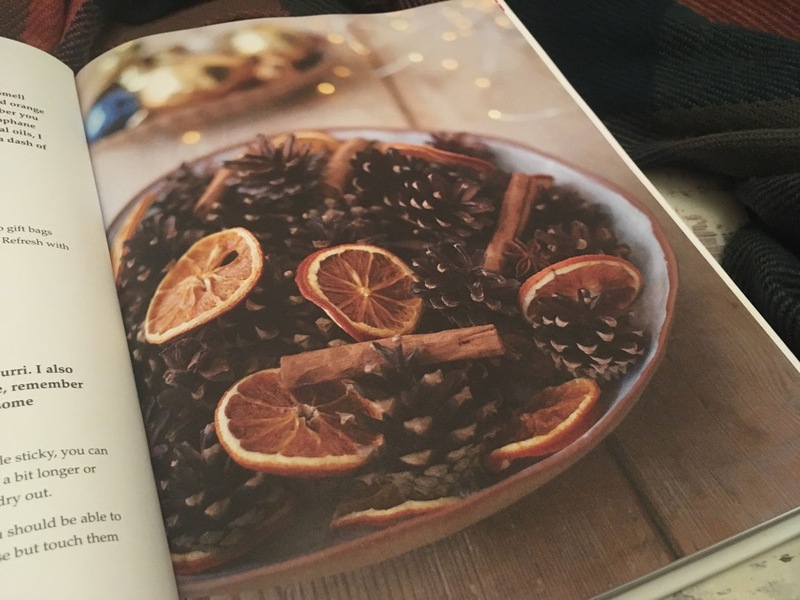 When I saw that she was a releasing a book all about Christmas I knew that I had to preorder it, especially as I love using recipes from Tanya Bakes so much. 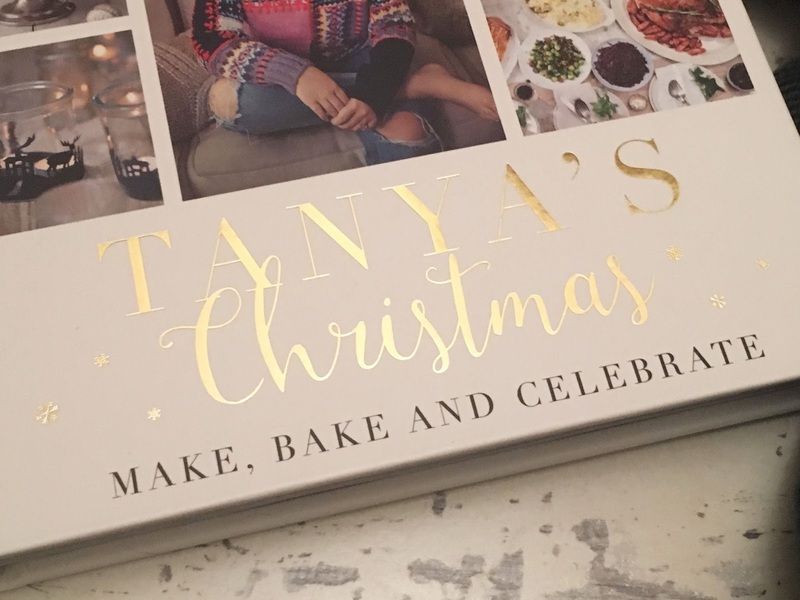 That all being said; it's not like you need to have watched Tanya's YouTube channel or read her blog to be able to enjoy this book; just a love of Christmas! The book is beautifully presented and you get enough inspiration from looking at the photos alone. 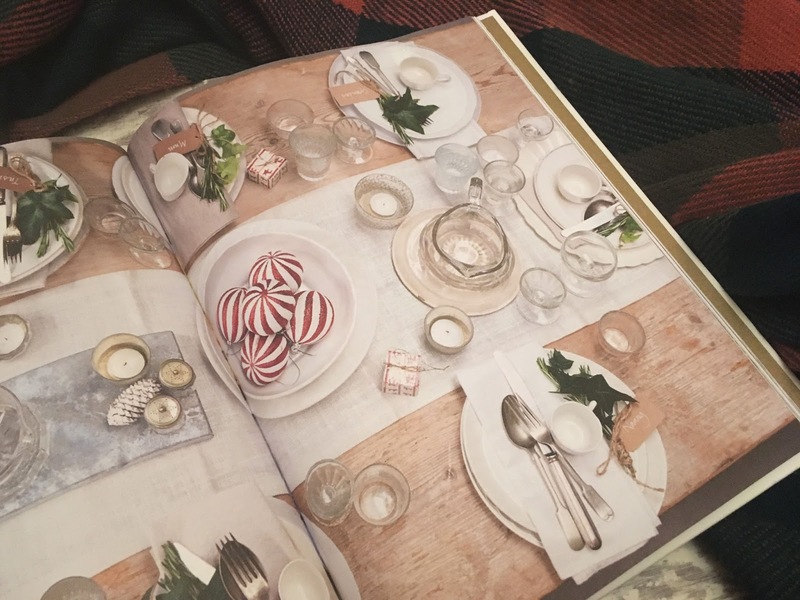 The book follows ideas of how to prepare for the season, through to the big day (including a timed Christmas Dinner schedule) and goes up until new year's day. 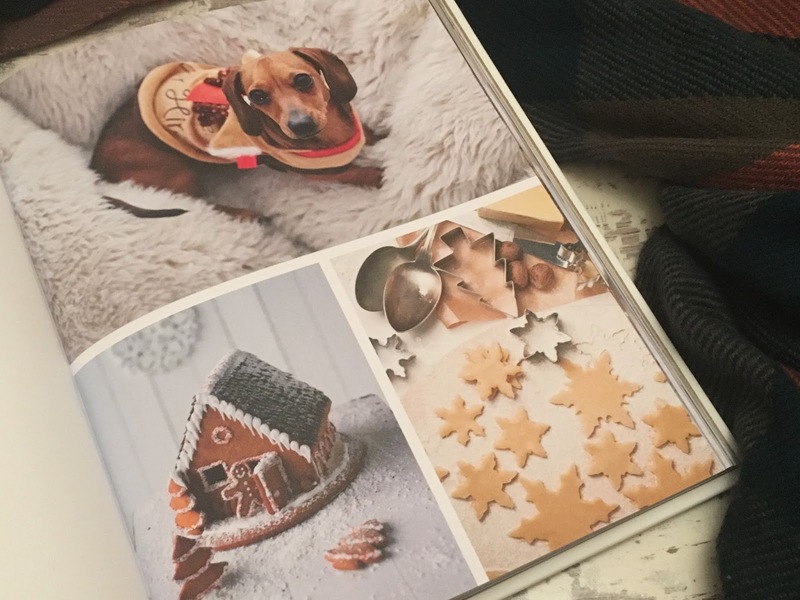 It's split into seven chapters that cover gifting, baking, crafting, how to throw the perfect Christmas party...there's a great variety and it manages to encapsulate a range of topics that make up Christmas. 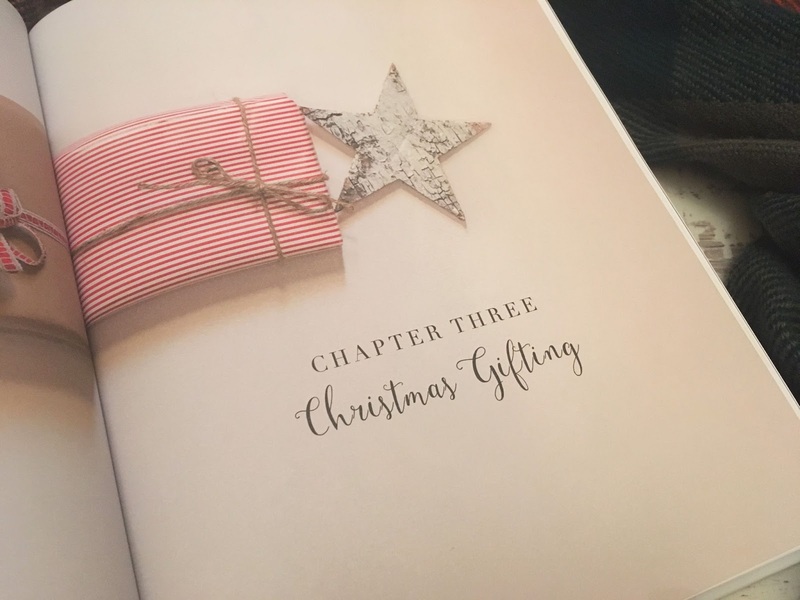 What I really liked was how when you reach the chapter about Christmas Day there's hints to different crafts or recipes that have been in previous chapters which wraps the book together well. I've found a lot of ideas that I want to try out and I know this will be a book that I will return to in future years. I like that you can dip in and out as you like, and could read it in any order (although there's still something that makes me uncomfortable about doing this the first time round so I did read it in order), and that it not only covers things you can do for yourself and your family, but also your doggy. 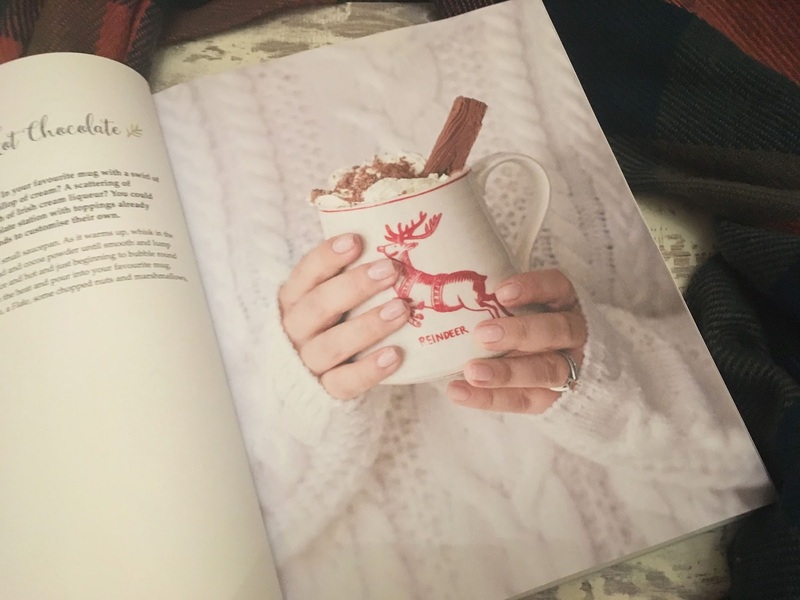 To be a blogger cliche, this would make a great coffee table book (not that I keep any books on my coffee table as it's not big enough lols) and this would be great for visitors to flick through at this time of the year. 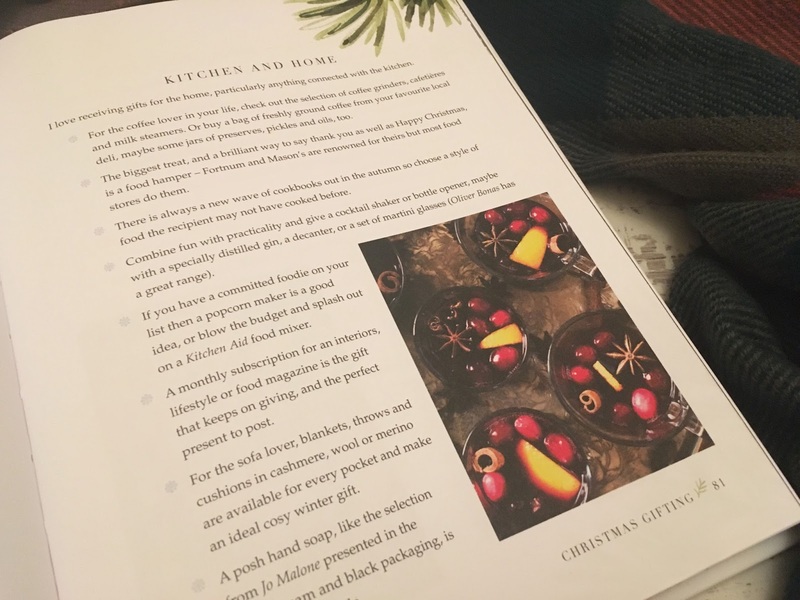 It would make a good Christmas present but I think ideally you want to have it at the start of December - maybe as the first gift in your advent calendar treasure hunt - so you've got time to a. read it, and b. be able to use some of the tips or recipes this year. I'm looking forward to trying out some of the ideas in this book and will definitely feed back how they go! 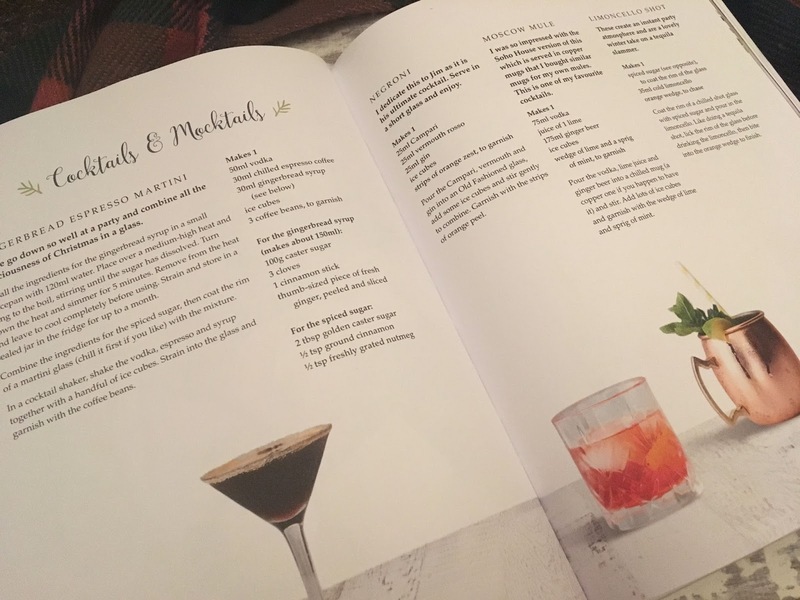 (I especially like the look of those Moscow Mules). I'd love any recommendations you have for books that you like to read at this time of year to make you feel festive - I definitely need to get back into reading (more on this soon) and with it getting darker earlier and I'm going away later in the month (which will involve a long train journey) I'm looking for something new to read! Look. I know it's only November, but December is under 6 weeks away and this is something that you need a bit of time to do as you need it ready for the 1st! 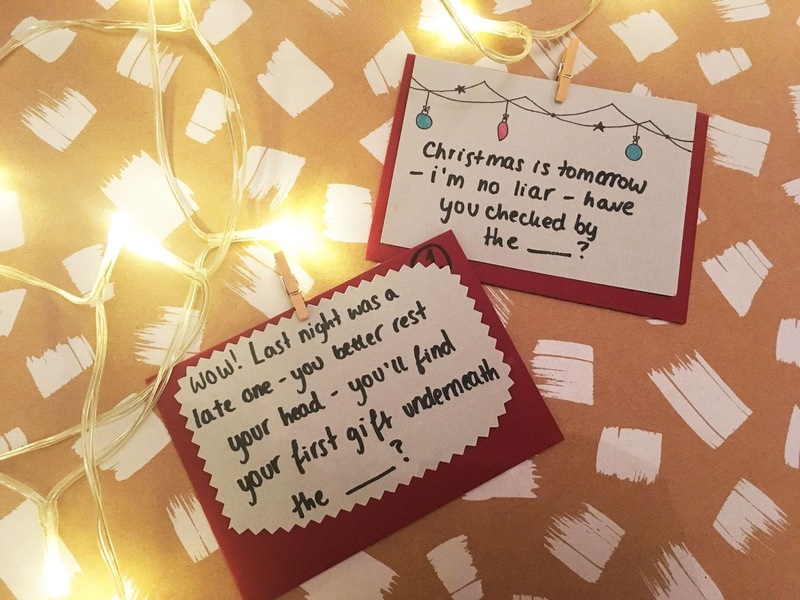 This year just to take enjoying the run up to Christmas to another level, I've created an advent calendar treasure hunt for Tom (all the girlfriend points to me plz). I think this is a great way to be creative in a different way (it's hard trying to think up 24 rhymes for clues on finding places!) and it can be done on any budget and for any person. I've told Tom he's not allowed to read this post so no spoilers to him please, but I've bought him a gift for the 1st, and then for the other days I'm going to hide a chocolate coin. Aside from the fact I have Tilly and so couldn't hide all the chocolate for the month, I think because obviously the person will be going about their day in your house, it's best to hide the chocolate/gift one day at a time. 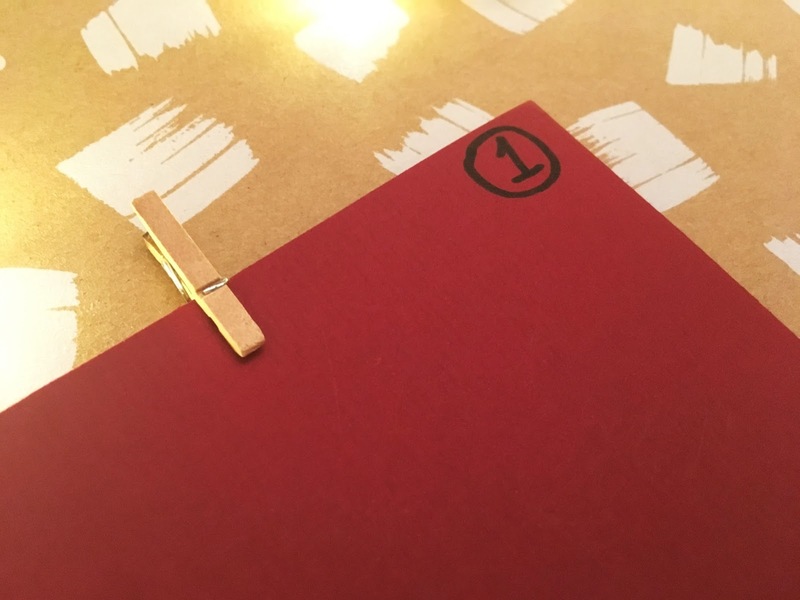 It's good to plan all the days out in advance and write down where the hiding place needs to be so you can refer to it throughout the month - coming up with clues can be tricky but it means you can get creative and throw a few funny ones in there. 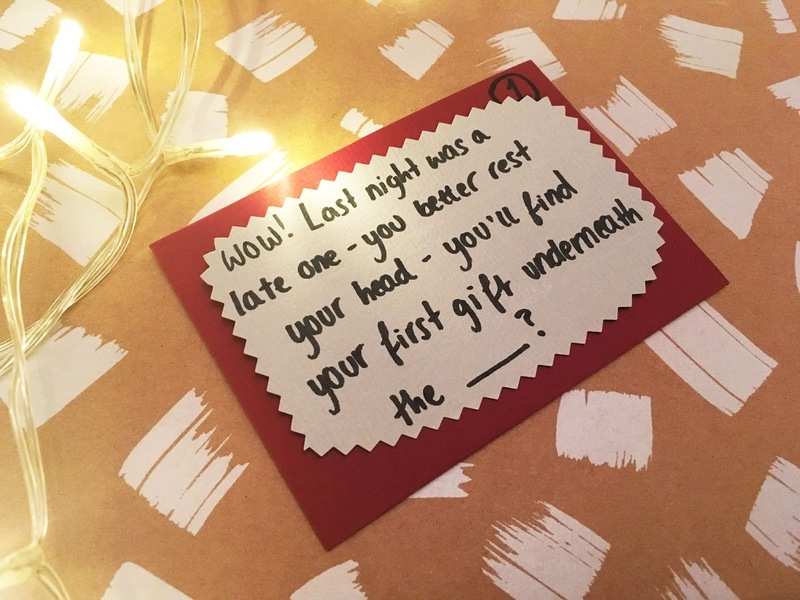 Obviously it's up to you, but I've tied some of the clues in with things that we have planned throughout the month, and thought about the different places we'll be and where I can hide the chocolate coin there. To create my treasure hunt, I bought 12 sheets of A6 card and 12 envelopes and I cut both of these in half. With the envelopes, I stuck them down before cutting them in half so that you have to take the card out landscape way where you've made the cut, rather than having to actually open the envelope. I also know Tom opens envelopes by completely tearing them apart and so being able to just take the card out will be a lot less messy and will mean that he can peg the message over the envelope when he's found the coin. Before the 1st I'm going to stick some ribbon or twine along our DVD bookcases (this is in place of a mantelpiece as we do not have one lols) and I'm going to peg each of the days along this and then Tom will be able to peg it back up with the message once he's completed that day. I thought it would be a lot nicer to actually see the clue hung back up again rather than put it in the bin, and this will become a Christmas decoration in itself. This is such a versatile make that every one made will be different, and once you've thought of the hiding places and clues, the actual creation of it doesn't take very long! I would love to see if you create one or and please tell me who you would make one for and what you would hide!